It’s not often we get the opportunity to cover events north of the border, but seeing as this one is being held in the place I used to call home, it’s got a special place in my heart. Tonight, our friends at Salute have gotten together with Sailor Jerry to present a screening of the ‘Hori Smoku’ film, and an exclusive after-party to be held at their new Glasgow HQ. 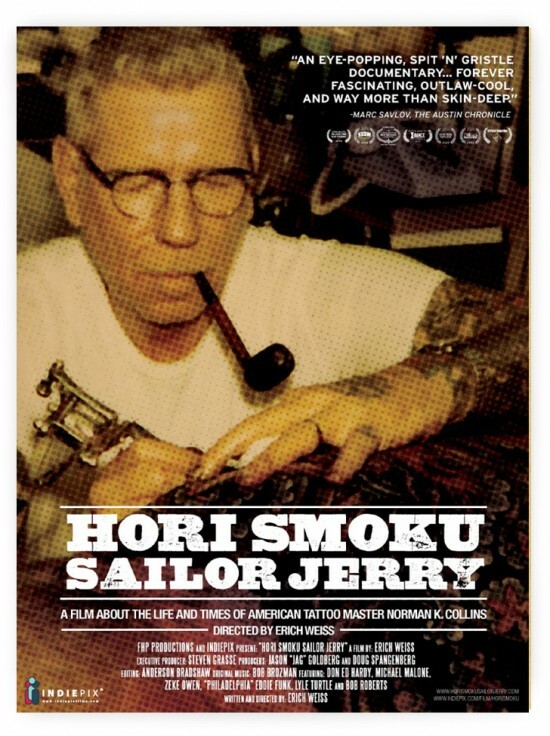 Hori Smoku Sailor Jerry is a feature-length documentary film, focusing on the foundations of American tattooing, through the life and work of Mr Norman ‘Sailor Jerry’ Collins himself. Collins is an American tattoo legend, largely credited as one of the most prominent tattoo artists of all time, and who’s style has gone on to be internationally recognised. 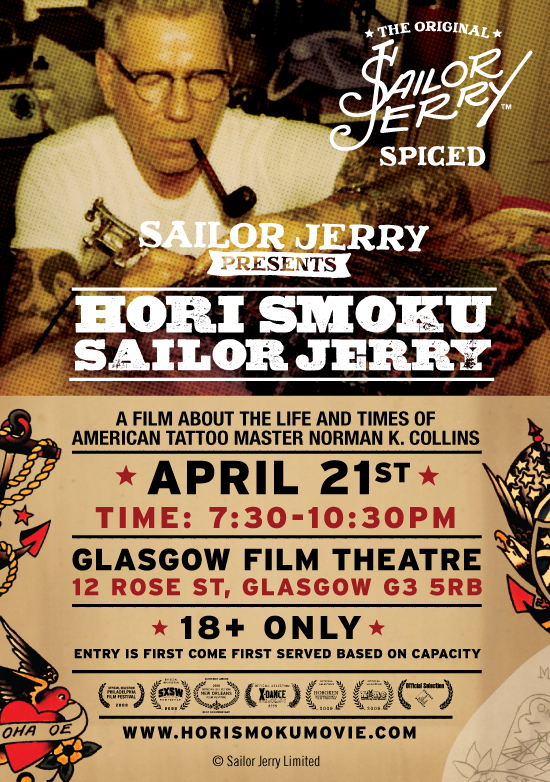 Although most probably recognise the name from the spiced rum to which he lends his name, Sailor Jerry has a lot of history behind it, and this film is an excellent opportunity to learn all about it through through interviews, photographs ans archival footage. If you’re fortunate enough to live in the area, the screening happens tonight at the Glasgow Film Theatre, starting at 7:30pm. The after-party will be held at Salute (No.3 Moncur Street), right after the showing. All the info you need can be found on the flyers below. Congratulations to Salute on their first big Scottish project, I’m looking forward to seeing what else they have planned for Glasgow.